Mrs Tyringham and Lady Beaumont are still in shock. Who would have thought a motor car – a gift of the 20th century, designed purely for pleasure - could do such a thing? But their shock is as nothing, compared to the feelings of the bereaved parents. 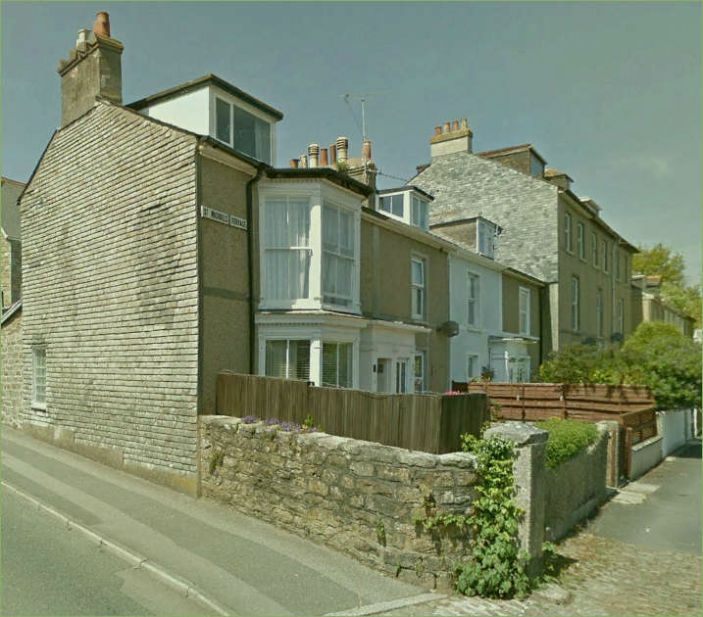 Rex Russell Barrett, of St Michael’s Terrace, Penzance. He was five years old. Rather young, you might think, to be out on his own. But who can rule a venturesome lad? Perhaps it was his great joy in life to slip out from under his mother’s nose; to run along and join the bigger boys watching out for the GWR cars going up the main road. Lads up there are always running along beside the railway company’s cars, trying to hang onto the splashboards. A driver says that he always keeps “a smart lookout”; that he has the conductor stand on the back step, as they go up that hill, just to fend the children off. Perhaps Rex was one of them. But then again, important not to judge. He was such a little lad, after all. Perhaps this was the first time he’d ever left the safety of the front garden. People said afterwards that he hadn’t been in the habit of running about in the road; that even on that fatal day he was doing no more than watching the bigger boys. At any rate, it wasn’t the GWR vehicle that struck him. That misfortune fell to the ladies. Their car was coming down the hill very slowly – “no faster than he could walk”, according to the postman, who was out on his evening round, and was just in time to help the child into his house. 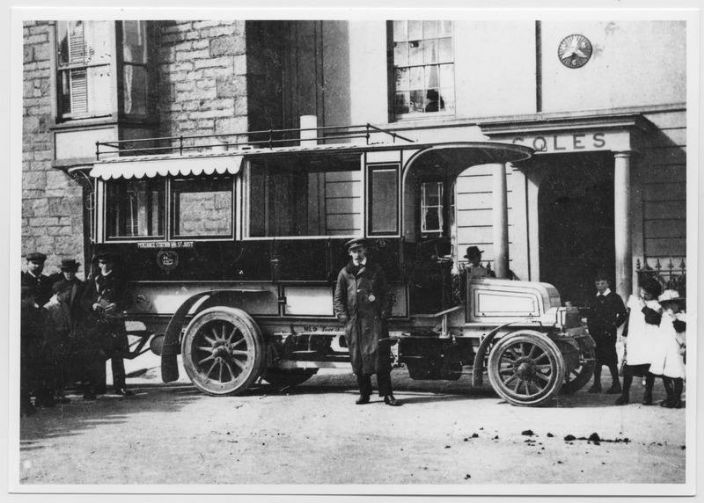 The ladies’ driver – Wallace Pedlar - had a full six months’ experience. He’d already slowed down because he spied the boys in the road - had the brakes on all the way down the hill. But the car was quiet, deathly quiet, as motors are. No familiar clip-clop or jingle to warn the unwary. The bigger boys were well-practised, and ran onto the pavement – just in time - as Lady Beaumont’s car approached. It was only Rex, they said, who ran the other way. Perhaps he saw the approaching motor, and put an arm up to protect himself from the sharp metal mudguard slicing its way through the air towards him - leaving his ribs, his lungs, at the level of the springs. They were what did all the damage, and that was enough, even though Mr Pedlar pulled up smartly and the wheels never went over the boy. Everyone – the postman, the other children, the ladies in the Terrace - knew little Rex. Someone ran for his mother. And she gathered him up, her poor lad, and ran into the hospital. With it being just over the road, she must have thought – hoped: the signs seemed hopeful enough at first. Rex was conscious – screaming – refusing to take any medicine. Dr Miller – who’d been called out of a meeting - rushed him up to the ward, and noted with relief that the pulse had slowed. But there was fluid on the chest; haemorrhage, Dr Miller said. There were plenty of doctors in the building – eight or nine, apparently. But nothing any of them, could do. Two hours later, Rex Russell was dead. When they examined the body, the doctors could see the problem. A broken rib forced into the lung. A bullet wound, it was said, would have been easier to treat. But one question remains. As the ladies’ car approached, had Rex noticed that other little boy? The one in the passenger seat, being taken out for a treat? Did their eyes meet, just for an instant? And was Rex lost for a moment in a dream of the future? Imagining that one day, he might himself ride up high in a motor, watching children scatter before his own wheels?